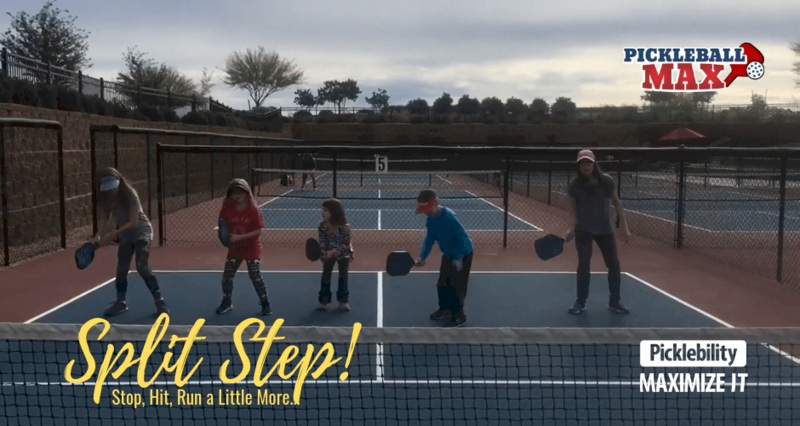 You are here: Home / Strategies & Tips / Pickleball Split Step – Balance, Baby!!! I see it happen regularly in rec play. A team pinned to the baseline understands that, strategically, they need to get to the kitchen line in order to give themselves the best chance at winning the rally. That’s definitely a true statement and a winning strategy. Afterall, approximately 80% of rallies are won at the Non-Volley Zone Line. However, in kamikaze fashion, they storm the non-volley line full-steam ahead. Unfortunately, unless you’re extremely fleet of foot – and hit the perfect drop shot – you likely won’t be able to get all the way to the kitchen line before your opponent hits their next shot. If you haven’t yet reached the kitchen line and you’re “storming” forward Kamikaze-style while your opponent strikes the ball, you are in a very unbalanced position – not good for your prospects of winning the rally. Because of this explosive forward motion and momentum, it will be very difficult for you to – in a controlled manner – move your body quickly left or right as you hit your next shot. As a result, you cannot control your body – nor your shot – and, consequently, you hit the ball “wildly” out-of-bounds. Has this ever happened to you? It has happened to me. 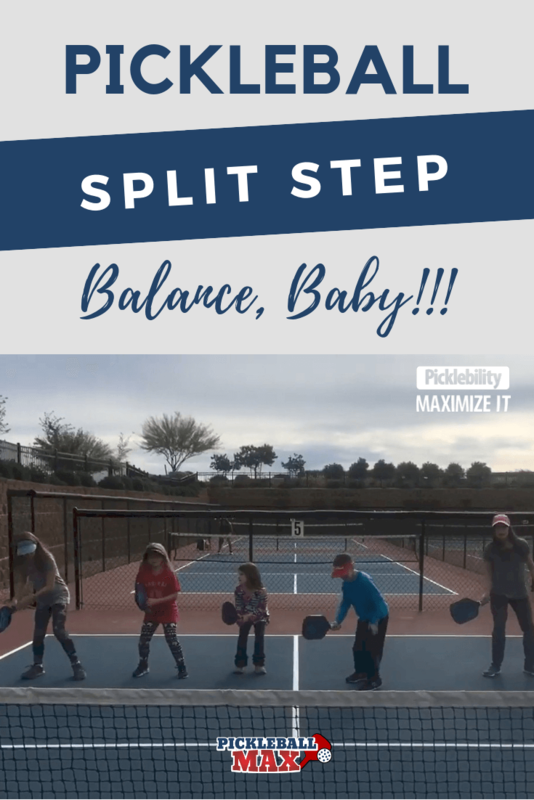 What is the Split Step and Why Should the Split Step be Executed in Pickleball? So what’s the solution? How can you get yourself from the baseline to the kitchen line and still be balanced? Enter the split step. A pickleball split step is simply a short, little hop to get on the balls of your feet (with your feet about shoulder-width apart) so that you are balanced and can quickly move in any direction. The timing of the split step is critical. It should be executed just before your opponent hits the ball. Don’t worry if you cannot make it all the way from the baseline to the kitchen line before your opponent is ready to strike the ball. Depending on you speed and quickness, it may take you a couple of shots to get all the way in. That’s perfectly fine. You just need to stop, hit, run a little more… split step! Stop, Hit, Run a Little More… Split Step!!! The following is a fun little video illustrating the mechanics of the split step. Thank you so much to Ruth Elliott and her grandchildren for allowing me to share this video with you. I think you will thoroughly enjoy. Next time you’re trying to get to the kitchen line from the baseline, don’t come in kamikaze style. Instead, stop, hit, run a little more, split step and get yourself balanced just before your opponent strikes the ball so that you can move quickly left or right. You – and your next shot – will be much more controlled. See you on the courts.